Within MINIMAL, our team has first-hand experience with the innovation process at top companies like Nike, IDEO, P&G, Samsung, Apple, Intel, Dell, Cirque du Soleil and many others. Whether consulting with a client or internally designing and developing a product from idea to market, we're always looking for tools and methods to improve our productivity and efficiencies in connecting the dots across our end-to-end process. We know that when an 'aha' moment hits, it's important to quickly capture and connect it to other ideas or enablers. With Sticky Storm, MINIMAL has conceptualized an intuitive productivity app for capturing, organizing, collaborating, and sharing ideas all within the cloud. It allows users to easily cross-pollinate and share content with a team, while tracking the evolution of the idea from beginning to end. Sticky notes are ubiquitous throughout organizations that create products and services all over the planet. They are consumed in high volume every day for jotting down information, capturing a fleeting idea, creating reminders, as well as for strategic planning. Their immediacy and temporary nature relieves creative block, organizational paralysis and have become an essential tool for brainstorming in every type of business. Whether you’re an individual entrepreneur or a corporate innovation team, managing ideas are an essential part of the creative process. In the digital age creative ideas flow at a chaotic pace. Inspirations happen on the go and need to be captured in the moment. And often our ideas live in more than one place and need to be consolidated effectively. 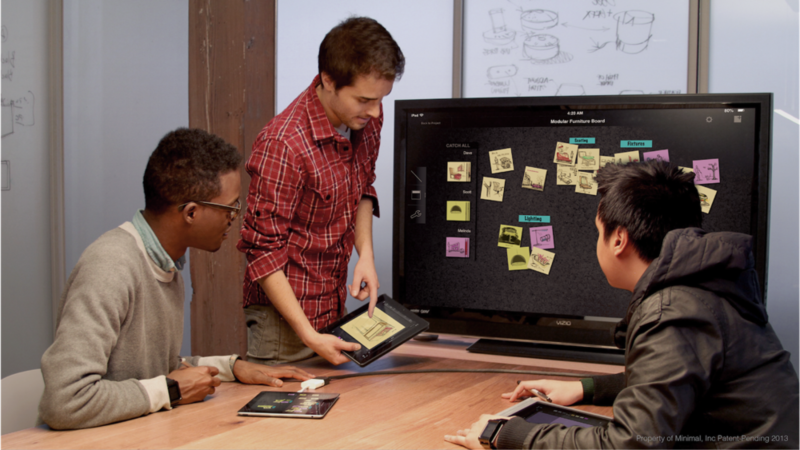 With Sticky Storm, capturing and sharing ideas has never been easier. 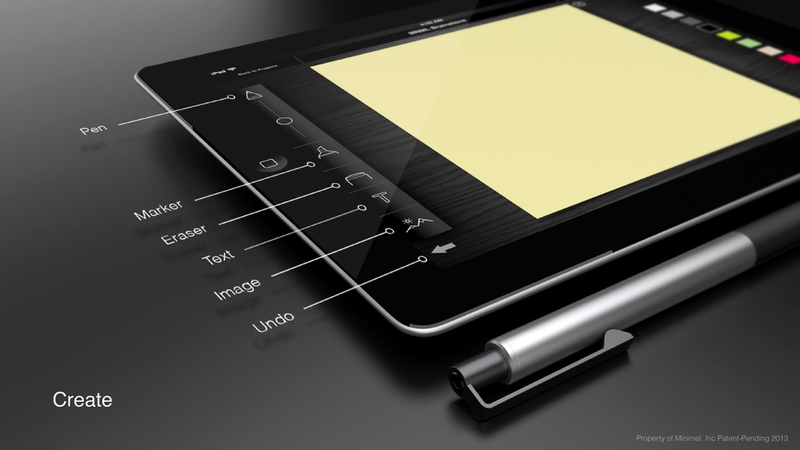 Use the notebook feature to visualize and sketch ideas, upload images, and grab n' save relevant web-based content. 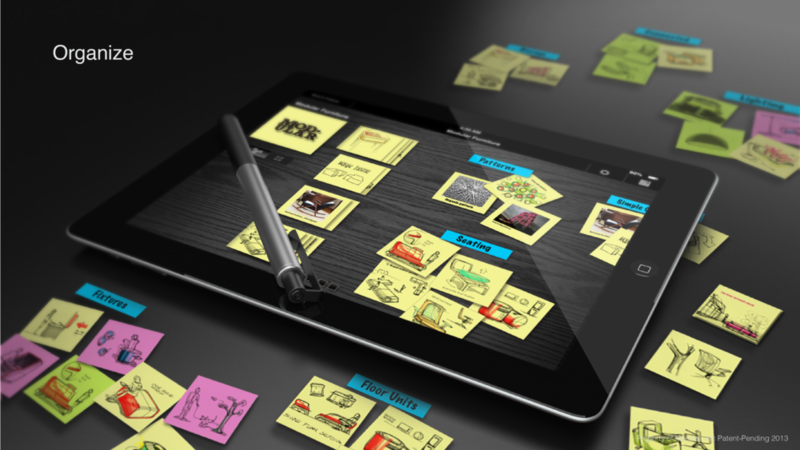 Different styles of stickies allow users to capture various types of content, from sticky notes to storyboards to material swatches. After rapid ideation comes simple organization. 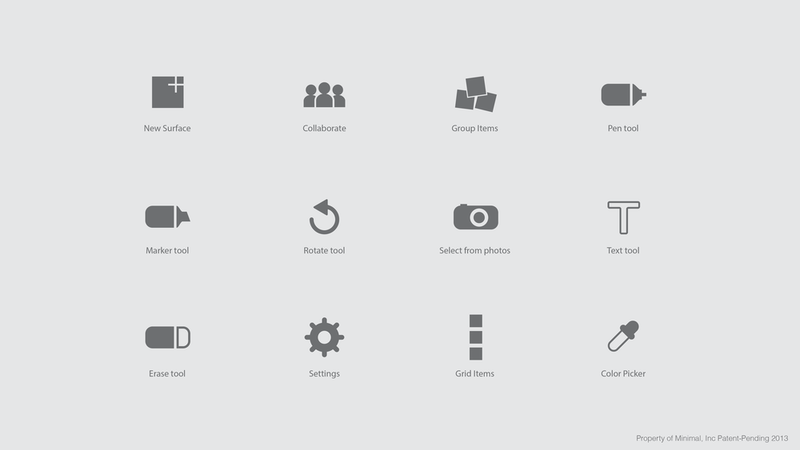 Arrange your ideas organically by visualizing with a variety of layout options. Team members often work remotely yet need to be connected and integrated. The sticky note is the tool of choice for capturing ideas on the fly. Yet once the ideas are captured and have filled walls sticky notes become a time-consuming task of transcribing, documenting and sharing. Many times great ideas and sparks of innovation are lost in the inefficient follow-through. Working remotely doesn't have to hinder the team's creative process any longer. Create, group and organize with a team no matter where you are in the world. With its very simple interface design, Sticky Storm enhances brainstorming effectiveness across multiple iOS devices including the iPad, iPhone, laptop or desktop. Created in 2011 as an internal concept project after our team collaborated on the Microsoft Courier, the essence of Sticky Storm was to create a simple app and interface that eliminated any complexity and barriers to capturing and building on ideas. Sticky notes are great for capturing high-level ideas without getting too far into the details. They are great for grouping and reorganizing into clusters of contextual solutions. The goal was to make the app emulate physical sticky notes in their simplicity but then enhance their usefulness through connectivity. Sticky Storm (based on multiple patent-pending digital design and collaboration features) is currently in development by MINIMAL, who is seeking both funding and talented visual designers and developers to join them in bringing the product to life.